Every season create many more reasons to pack your bags. Whatever the season, if you need to fly - for a private getaway or a family get-together, for pleasure or business, domestic or abroad, let Bello Travel Service help you make your way with comfort and ease. 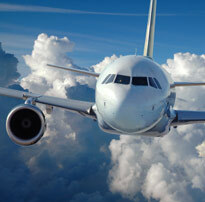 We will get you the flights you need to your destinations on the airline that is right for you.